In our continuing Toronto’s Top Startup Jobs series—weekly profiles of some of the top startups in Toronto on the hunt for new talent—we feature Tulip Retail, a fast-growing company that is currently looking to fill a range of roles, from senior software developers to product designers. Want to join a great team? Advance your career? Read on! Tulips are symbols of happiness, caring and encouragement, so it’s fitting that founder and CEO Ali Asaria chose the name Tulip Retail for his Toronto-based software company. 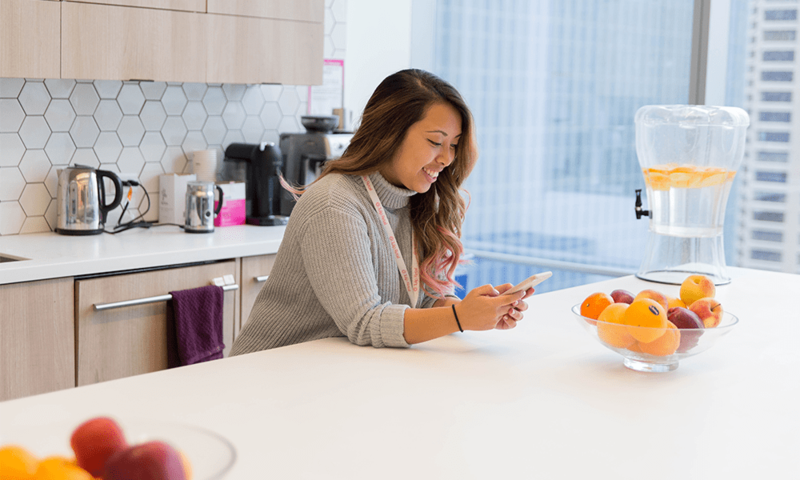 With a mission to empower the next generation of retail workers, Tulip is the company behind the world’s first cloud-based mobile application specifically designed to help store associates excel in their roles. Loaded onto iPads, the Tulip platform gives store employees immediate access to product information and customer profiles right on the shop floor, enabling them to provide a more tailored one-on-one shopping experience for their customers. Saks Fifth Avenue, Kate Spade, Lululemon, and Frank and Oak are just a few of the big-name brands using Tulip across their stores. With $50 million in Series B funding, the company is growing at lightning speed and currently employs 200 people between its Toronto and Kitchener offices. It expects to hire about 10 new people per month. Tulip’s Toronto office is about as downtown as its gets. Within a 10-minute walk you’ll find Union Station (transit links galore), the Air Canada Centre (go Raptors! ), The Power Plant contemporary art gallery, and a slew of fantastic pubs and restaurants. 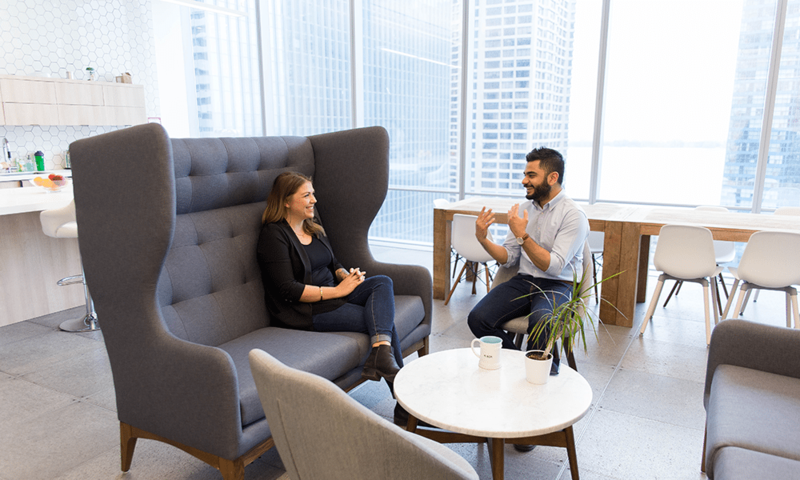 Staff enjoy gorgeous lake views from the office’s 15th-floor windows and, if they can tear themselves away from the airy common area banquettes, Harbourfront is the perfect spot for a lunchtime stroll. Since starting at Tulip less than a year ago, Stefan built a clientele app that allows store associates to send personalized emails and SMS messages to key customers. He’s also learned a lot at the company’s tech talks, where co-workers can sign up to lead informal sessions on topics such as cryptocurrency and infrastructure maintenance tools. That means hiring staff from diverse gender, ethnic and socio-economic backgrounds. To that end, Tulip recently launched The Bridge, a free 11-week coding program geared toward women, and agender and non-binary people. Through the program, 10 to 12 aspiring developers will be taught and mentored by Tulip employees who have agreed to volunteer their time and expertise. “People say diversity is hard to achieve, but that’s not the case if you take the steps to build a welcoming, inclusive culture and your hiring practices are reaching those people,” says ZJ. Tulip may be getting bigger, but when there’s a problem that needs solving, this is a close team that rallies together. 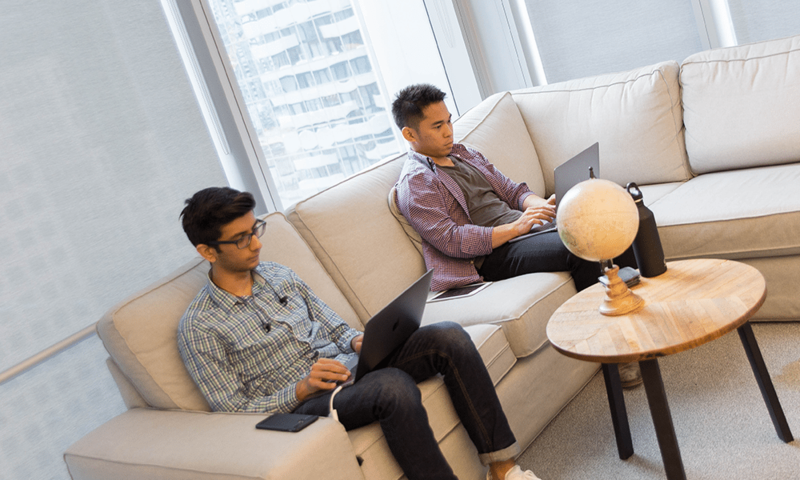 One of the ways the company encourages new ideas is by hosting quarterly Hack Days where staff team up to develop ideas they may not have time to work on day to day. 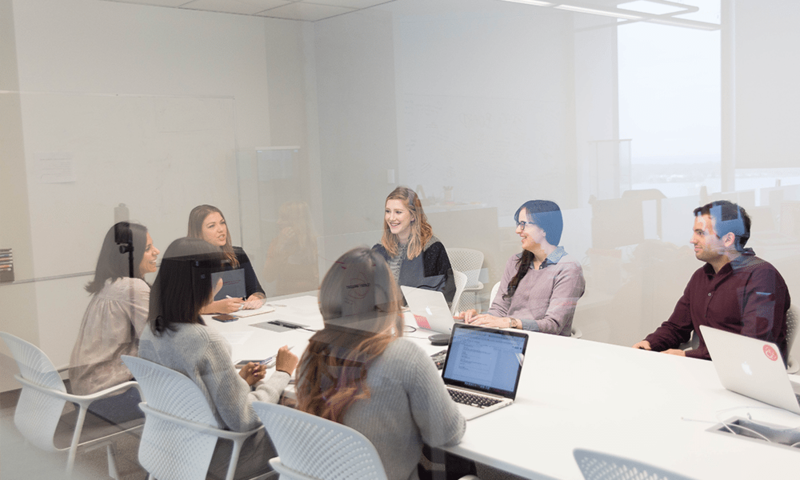 These meetings of minds often result in cutting-edge client solutions, like Tulip’s Runner app, which allows store associates to connect with backroom employees to retrieve stock without leaving the customer’s side. Another way that Tulip ensures everyone feels included is by keeping all its events (with the exception of the off-site holiday party) alcohol free. “It really shifts the focus from standing and drinking to activities we can all do together,” says ZJ Hadley. “It also cuts out the whole ‘bro culture’ that is sometimes associated with startup life,” she adds. Tulipians might not be tapping beer kegs, but they definitely know how to eat and caffeinate well. There’s plenty of Philz and Starbucks Reserve coffee on hand, as well as a high-end espresso maker, latte art, and a hot beverage Slack channel where even the tea drinkers can weigh in. On Wednesdays, staff gather for catered lunches with plenty of halal and veggie options. Meals are often tailored to cultural occasions such as Diwali, Eid or Nworuz (Persian New Year), with pre-meal talks. And, of course, Pi Day is celebrated wholeheartedly with freshly baked apple crumble and strawberry rhubarb pies. The most common word used to describe the Tulip culture on a recent employee survey? Friendly. 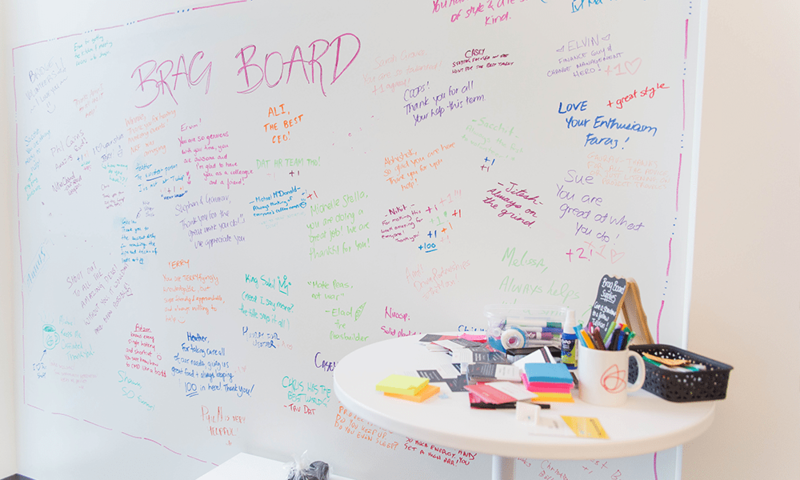 New employees are matched with a buddy to help them get up to speed, remote workers are often sent care packages, there’s a Brag Board where staff can share things they admire about each other, and on Festivus the whole company gathers for games.